Scribbles from a midnight diary: Okefenokee Swamp: new slideshow!! The Okefenokee swamp is an incredible swamp in the southeast corner of Georgia. It covers almost 402,000 acres and is filled with cypress, pine, insect eating plants, gators, deer, bobcats and lots and lots of birds. At this time of year, there were also a few tourists. For a very reasonable fee ($18 which included the park admission), I was able to take a canoe ride which lasted about four hours. It lasted this long because I wanted to stop every few feet and take photos which annoyed the hell out of my friend. The results were worth it. In my humble opinion, of course. Clink on the link below. 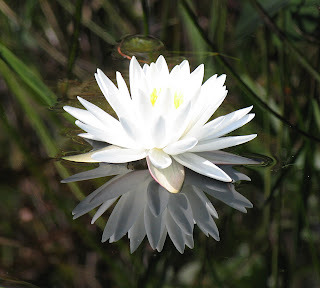 It's a new slideshow and is titled Okefenokee, for lack of anything better. Turn up the volume and right click after the slideshow has started to get a full screen if you want the full effect.